Political situation in Turkey is worsening. President Recep Tayyip Erdogan has been tightening his grip on the polical structure of Turkey, and all its institutions. He has been getting almost all the screen time on all the TV channels that report news. Opposition party leaders and their speeches are rarely mentioned in the media. He has been getting involved in everything, and every decision. In Turkey, the president’s role has been more ceremonial normally. Similar to the European model, not American. 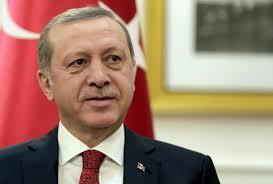 The head of the executive branch is the Prime Minister in Turkey, not the president. And the president doesn’t have the right to legally interfere with the executive decisions. The Armenian Massacres: Is it a genocide? andraz on The Armenian Massacres: Is it a genocide? admin on The Armenian Massacres: Is it a genocide? Nikephoros on The Armenian Massacres: Is it a genocide?